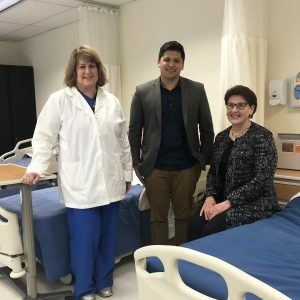 Warner Pacific University’s Nursing Program received a $350,000 grant from the M.J. Murdock Charitable Trust to furnish the University’s new simulation-based learning labs. The purpose of the learning labs is to simulate complex and nuanced health care scenarios using state of the art equipment in a way that allows students to practice realistic patient care in a controlled environment. 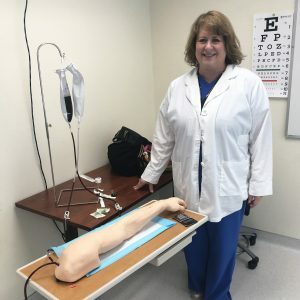 In pre-licensure nursing programs, simulated learning can substitute for up to 50 percent of traditional clinical experience. Warner Pacific received this grant, in part, due to the University’s success in serving students from diverse backgrounds. Warner Pacific has emerged as an institution uniquely dedicated to providing leadership skills and education to students from historically marginalized or under-served population groups. Currently, 63 percent of the University’s student body, and 35 percent of faculty identify as people of color. Diversity among health care providers can lead to higher patient satisfaction and improved communication. The ability of nursing staff to offer culturally responsive care to their patients significantly affects the quality of the healthcare services they are able to provide. M.J. Murdock Charitable Trust, created by the will of the late Melvin J. (Jack) Murdock, provides grants to nonprofit organizations in five states of the Pacific Northwest—Alaska, Idaho, Montana, Oregon, and Washington—that seek to strengthen the region’s educational, social, spiritual, and cultural base in creative and sustainable ways.